Are you in love with Italian cuisine? Do you love the mouthwatering flavor and the lip-smacking seasoning of the pizza or the pasta? Italian cuisine is extremely popular and that is why there are so many restaurants around you offering you authentic delicacies from Italy. One of the most common dishes that people love from the Italian cookbook is pizza. It’s cheesiness, the crunch crust, and a variety of tantalizing flavors give you a sensational experience that is unforgettable. And luck for you, now if you get the sudden craving for this amazing delicacy, you can get it right at your doorstep with just a phone call. 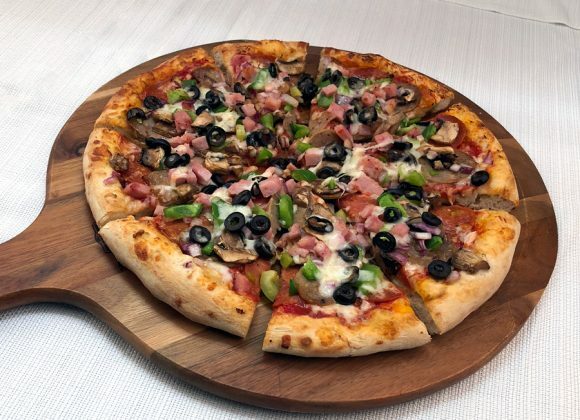 We, at Pizza Machine, can offer you a fast and reliable pizza delivery service whether you need a regular pizza for yourself or ordering for your group of friends for a sleepover party. We have more than 25 years of experience in this field and bring you a wide range of pizzas, picked and packed in the freshest manner possible. So, if you are from areas such as Cooper City, Hollywood FL, Miramar, Pembroke Pines, or Weston, you can resort to us. Here, we have put together a list of questions to ask your pizza delivery service. Take a look. What sort of pizzas do you offer? Over the course of time, now we have several innovations over the regular pizza.You can choose the one that appeals to your taste the most. How much time will you take to deliver it? You might be dying of this craving or you might want to start your party on time. So, you need to know when to order the food and how much time it will take for the pizza to arrive so that no one has to wait for long. So, after asking these vital questions, if you think we can be the right choice for you, contact us today.